Tucking into a smorgasbord of international delights has never been so pleasurable. 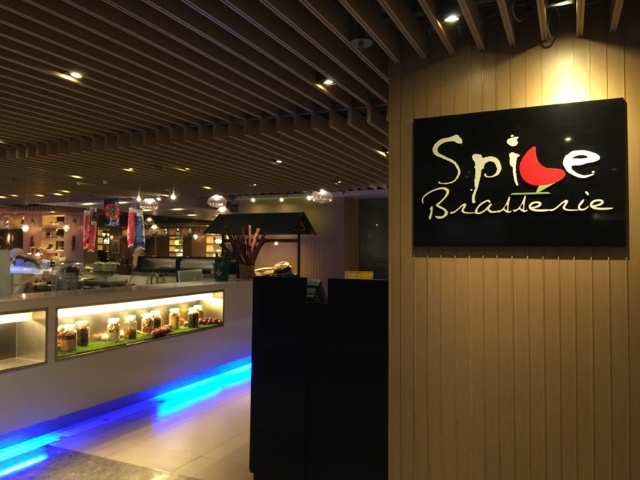 Spice Brasserie boasts of a buffet spread with an extensive variety of hors d'oeuvre, mains and desserts— including a live station of savoury crabs. One can rarely luxuriate in a buffet spread as supercalifragilisticexpialidocious as this! 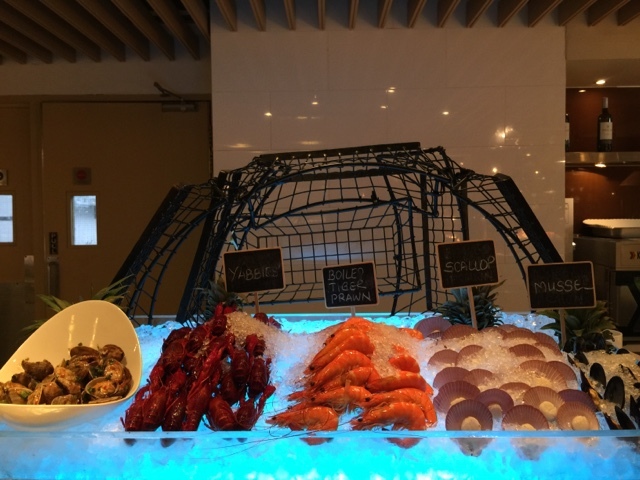 In this post, I'll also share with you the latest promotions, such as enjoying a crab buffet for two at S$99, and cost savings this Chinese New Year! 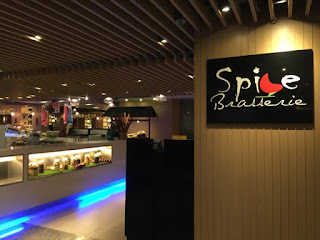 You can never run out of food to eat in Spice Brasserie — the selection is really, really vast. 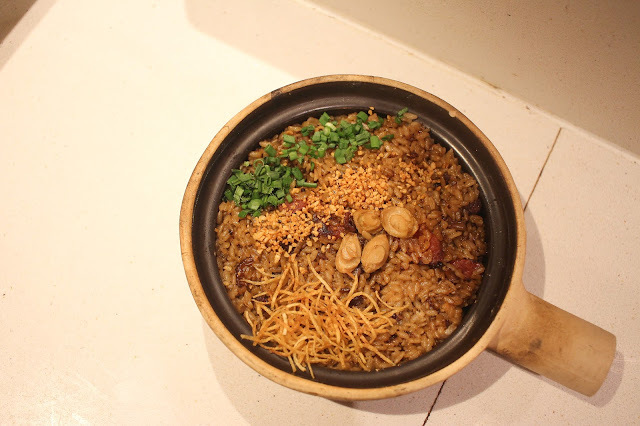 Spice Brasserie's kitchen is helmed by Executive Chef Low Hoe Kiat. 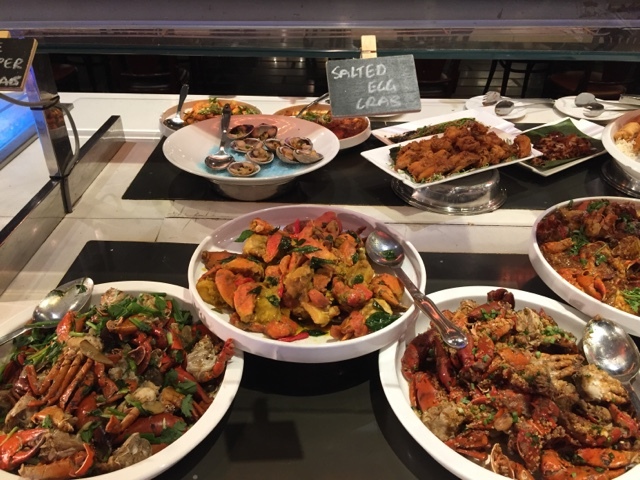 He has skilfully created a gastronomical spread of crabs in twelve different flavours, from strong creamy flavour profiles to soft, delicate and sweet taste. 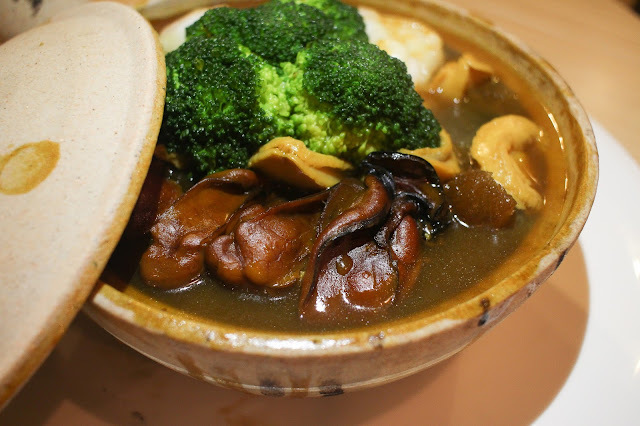 The cream of the crop is his signature Slow-braised Pumpkin Crab in Claypot with a deliciously creamy golden-yellow gravy. This rare treasure is only available on Thursdays to Saturdays. 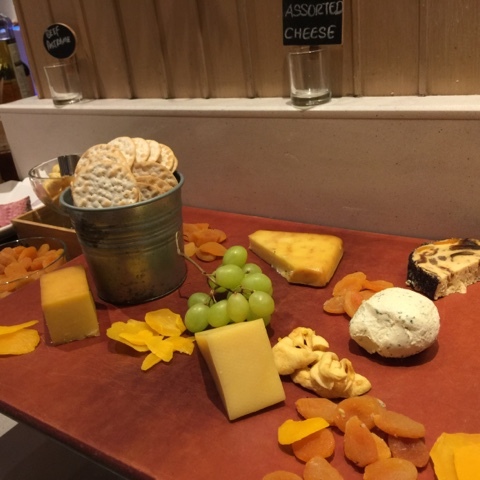 For those who love the classic European way of dining, there is plenty of assorted cheese in the platter and bread buffet for you. 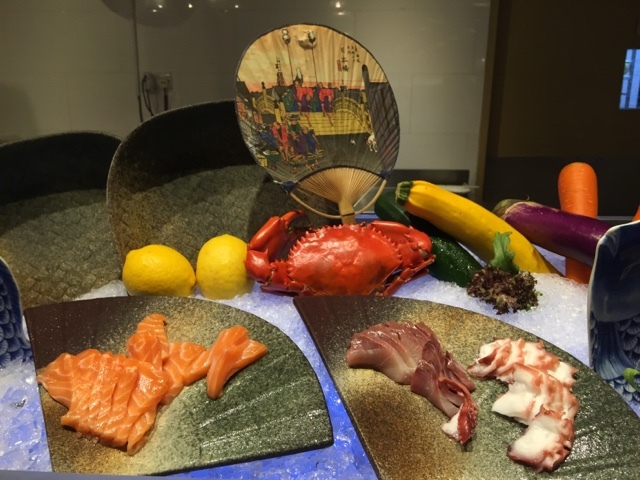 Indulging in sashimi can sometimes be quite harsh on your wallets, so you can be relieved with the sushi and sashimi corner and several ‘live’ stations cooking up a medley of Asian and Continental creations. Spice Brasserie is celebrating the Lunar New Year with an abundance of delicacies in a delightful feast. The highly raved Fivefold Fortunes Set (五福临门) is making a comeback this year to spread good fortune, with each dish symbolising a blessing for the New Year. Delicious Lobster in superior stock! 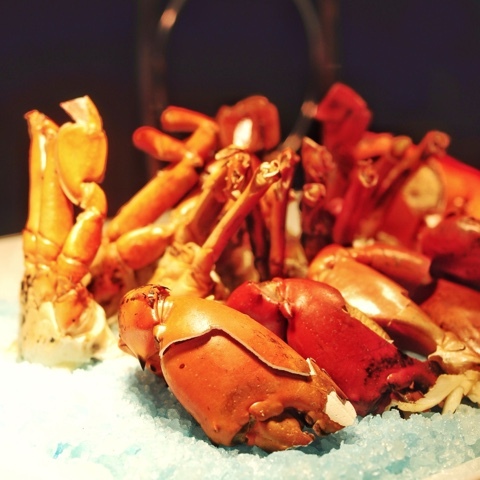 I tried a few pieces of succulent lobster — it was very fresh, juicy and really sweet! There's always another stomach for desserts — and this was well worth it. The pumpkin puree has a slightly powdery texture, but it leaves a really wonderful aftertaste. Can't believe they also have whole cakes in the dessert section, great to celebrate birthdays here! For lunch bookings, guests can enjoy a complimentary Crispy Baby Crab Yu Sheng per table, while dinner bookings are a complete feast with the Fivefold Fortunes Set on the house. Spice Brasserie can cater to small private functions for up to 130 people, ideal for birthday celebrations, baby showers, company lunch and dinner and more. 1. UOB, DBS & Maybank cardholders enjoy unbeatable savings at a special price of SGD99 for two adults. 2. UOB, DBS, HSBC, Maybank and Diners Club cardholders will enjoy 25% savings from 4 to 14 February 2016 and 10% savings on 7 February 2016 for the Reunion Lunch and Dinner. Reservations can be made by calling us at 6428 3160.